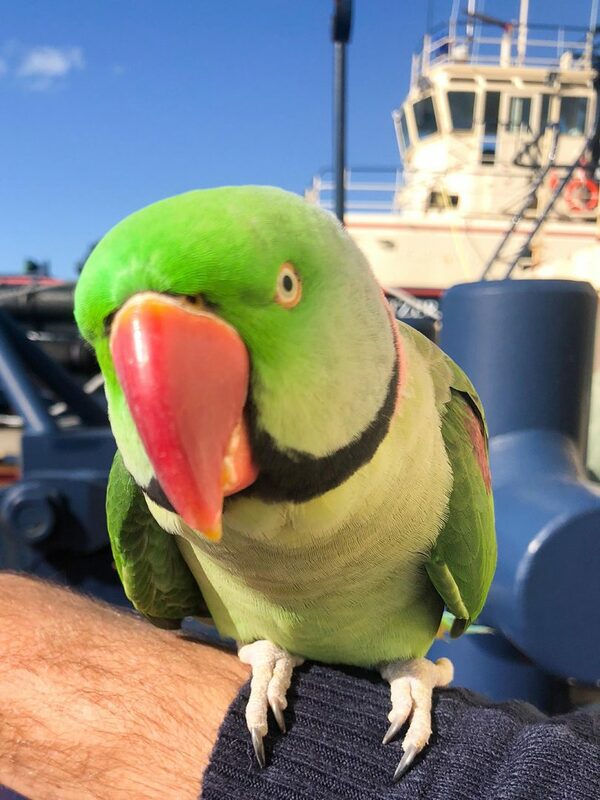 Through the heroic efforts of the crew of two tugboats in Victoria’s Western Port, an exotic Alexandrine parakeet named Buddy, lost for a week, found its way back to its owner. The crew of the Olivia and Svitzer Edwina contacted a local veterinary clinic, which advised them to put out an alert on the parrot-finder website, www.parrotalert.com. from home and survived a week in the wild.